"... millions of Americans leading lives of quiet desperation: without jobs, without resources, without hope"; "...was it the result, at least in part, of fraudulent practices...? ...if, by contrast, the Great Recession was in material part the product of intentional fraud, the failure to prosecute those responsible must be judged one of the more egregious failures of the criminal justice system in many years... the Financial Crisis Inquiry Commission, in its final report, uses variants of the word "fraud" no fewer than 157 times in describing what led to the crisis... not a single high-level executive has been successfully prosecuted in connection with the recent financial crisis, and given the fact that most of the relevant criminal provisions are governed by a five-year statute of limitations, it appears likely that none will be... To a federal judge, who takes an oath to apply the law equally to rich and to poor, this excuse--sometimes labeled the "too big to jail" excuse--is disturbing..."
Summons as issued by the Clerk of the Court and as executed in SEC v Bank of America Corporation (1:09-cv-06829) in the US District Court, Southern District of New York. The summons is unsigned, and fails to show the seal of the court. The summons was also never docketed, in disregard of US law, and the US court denied access to it. It was eventually obtained through a Freedom of Information request from SEC. 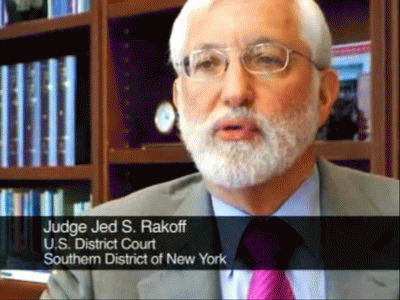 The conduct of litigation with no valid summons, no valid minutes, and where the court denies access to the authentication records (NEFs -- Notices of Electronic Filing), as well as the outcome of the litigation, point out to the conduct of sham/simulated litigation from the start, through collusion of the judge, the clerk, and attorneys for both SEC and Bank of America Corporation. In fact, from the start -- a show trial. Securities and Exchange Commission v Bank of America Corporation (2009-10) is landmark litigation under the current financial crisis. The case originated in the unlawful taking of $5.8 billions by banking executives, and concluded with the executives never returning the funds to the stockholders and with no individual being held accountable. The case is replete with missing and invalid litigation records, leading to the conclusion that the case as a whole amounts to simulated, sham litigation. The case commenced with no valid summons, was conducted with no valid minutes, and the court denies public access to the authentication records.